Have you seen the recent reports stating “hemp oil cures cancer”? Due to increasing promotion of “hemp oil” as a cancer cure, Hemporium has been swamped with requests for this oil. However, the cure known as hemp oil is incorrectly named and this creates confusion, so we would like to shed some light on the issue. 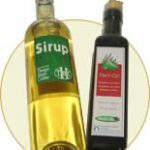 What is recently being referred to as “Hemp Oil” is the thick black oil which is increasingly being promoted as a treatment against cancer and other illnesses. This oil is basically pure THC and CBD, which are two chemical compounds extracted from the leaves and buds of a high-THC, smokable cannabis plant. Since this oil is almost pure THC, it should not be called Hemp Oil as hemp does not contain significant amounts of THC. This oil is more correctly termed Cannabis Oil or THC Oil. Since THC is the active ingredient in cannabis which gets people high, this means that wherever cannabis is illegal, THC oil will also be illegal. So although it may have medicinal properties, cannabis oil is illegal in South Africa. Since Hemporium focuses strictly on low-THC industrial hemp, we do not sell hemp oil/THC oil nor can we help people find it. Hemporium does however sell Hemp Seed Oil, which is a greenish-yellow oil pressed from the seeds of a low-THC industrial hemp plant. Hemp Seed Oil is abundant in nutrients and, while different to “Hemp Oil” (THC oil); it does have many beneficial healing properties. Hemp Seed Oil has not been linked with curing cancer, but it can help with other ailments and promote radiant health and well-being. Hemp Seed Oil is rich In Omega 3 and 6, and Vitamin E, and contains an abundance of other nutrients including zinc, magnesium and phosphorous. It has been shown to help treat skin conditions like eczema and psoriasis, and also help with arthritis. It can help support the functions of the cardiovascular, immune, reproductive, and nervous systems. Omega 3 and 6 are important for general brain function and can help to improve concentration and elevate mood. The high vitamin E content of Hemp Seed Oil makes it ideal for use in cosmetics products such as soap, shampoo, body lotion and moisturiser, as the vitamin E helps to nourish, strengthen and lock in moisture to the skin and hair. So while you will not be able to buy the supposed cancer-curing oil legally in SA, Hemporium can provide you with Hemp Seed Oil, which is a very beneficial and healing oil of its own.